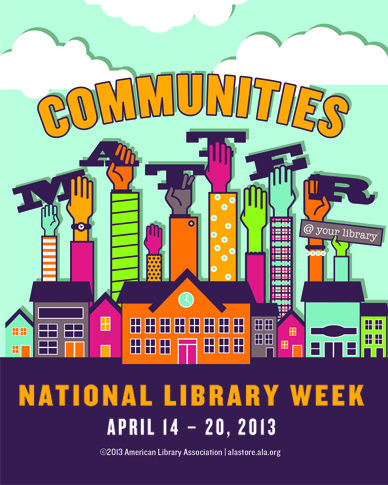 This week, we celebrate National Library Week, and the theme is Communities Matter! From projects like the Tulsa Fire Department Dispatch to producing Tulsa’s National Day of Civic Hacking, community inspires most of what we do. We know community matters to you, too. You’re doing your part to make Tulsa better. So we ask, what about Tulsa creates a great community feeling for you? Go to the TulsaWiki and add your favorite nonprofit, community hangout, club or other quintessential community-maker. This time, we’re not focusing on just one tag–communities are as distinctive as the individuals they include. Create or edit your page, then tag it appropriately. Some tags might include: Volunteer, Nonprofit, Clubs, Civic, Groups, or Teams. We asked a couple smart research librarians for tag suggestions that say “community.” Don’t assume their answers were book clubs and controlled vocabulary. They said Music, Sports, and Dancing. At the top of the wiki, use ‘Search or create page’ to look for your favorite community maker. After creating the page, you’ll then have the chance to add your landmark to the map. At the bottom of the page, there is an ‘Edit tags’ button. Add tags such as ‘Nonprofit’ or ‘Clubs,’ as well as any others that you think would be useful. Go to the Nonprofit tag page or any of the suggested tags above and discover new ways your Tulsa County neighbors build our community! Watch the Recent Changes page to see what people are adding. If you have an idea for the next challenge, let us know on the wiki or in the comments. Plan to join us for Tulsa’s National Day of Civic Hacking and register now!